Xtreme Vixens MC believes in supporting the community and helping people and animals as best we can. We encourage you to do the same! Find a cause you believe in and see how you can make a positive impact! Would you like suggestions? Here are some below! The Dogs Light the Way BADRAP's Mission: Securing the future of the American Pit Bull Terrier as a cherished family companion. 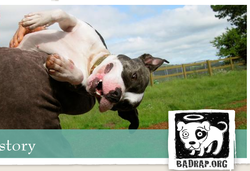 BADRAP was formed in 1999 to tackle the difficult issues that had been bringing early death and suffering to San Francisco bay area pit bull type dogs. We soon developed into a nationally recognized resource for both dog owners and shelters, offering desirable pets for adopters, training classes for dog owners and presentations and professional consultations to animal welfare leaders around the country. Ranked nationally as the top high-impact nonprofit working on a local/state level for 'Local Animal Welfare, Rights, & Protection' by 170 experts for Philanthropedia at GuideStar. Are you thinking of adopting? Check out the ULTIMATE GUIDE TO PET ADOPTION to prepare you for the next steps! Find your local affiliate here and discover how you can get donate clothes, support the organization financially, get involved as a volunteer or help in other ways. If we are not operating in your community yet, learn how to bring Dress for Success to your community! ﻿﻿﻿﻿﻿﻿﻿﻿﻿﻿This cutie, Tomoki Obama Ranger, was given a second chance at a loving home to call his own thanks to East Bay SPCA! The East Bay SPCA (Society for the Prevention of Cruelty to Animals) has been saving lost and abandoned animals since 1874! We are an independent nonprofit organization with no affiliation to any other organization with SPCA in its name, including the ASPCA. We serve Alameda and Contra Costa Counties and operate the following facilities in Oakland and Dublin. ​Are you thinking of adopting? Check out the ULTIMATE GUIDE TO PET ADOPTION to prepare you for the next steps! PHS/SPCA is a private, independent, non-profit, and our scope of services goes beyond that of a so-called no-kill, or limited admission, facility. As an open-door shelter, PHS/SPCA accepts all animals brought to us, regardless of age, breed or size, and we’ve rehomed 100% of the healthy dogs and cats in our care since 2003 and promise to do this going forward. 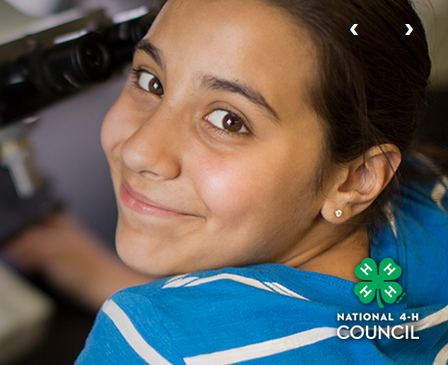 While rewarding, this isn’t our most challenging work and doesn’t define us. We accept our community’s sick, injured, abused, unwanted, stray, neglected and older animals; donations to our Hope Program enable us to help and rehome approximately 200 every month. (Sadly, private shelters in many communities never give them a chance). We rehabilitate wildlife, make spay/neuter free for our low or fixed-income residents, educate children, and investigate animal cruelty. PHS/SPCA is one of the few shelters in the entire state accredited by the American Animal Hospital association and we’re a gold-level GuideStar Exchange participant (click the seal below to access our GuideStar nonprofit report). We take our work and mission seriously, but also have fun. It's why we've adopted "Sit Happens!" as our Behavior & Training Dept slogan and have "Go Nuts” emblazon across the back our of mobile spay/neuter clinic. Most important, we’ve earned our community’s trust, involvement and support.